High End Systems, makers of lighting products and control systems, has partnered with Lightware USA to create an all-in-one lighting and video control platform for live events. Lightware USA is the U.S. sales and support office for products from Hungary-based Lightware Visual Engineering. By connecting the High End Hog control family (including the Hog 4, Full Boar 4, Road Hog 4, HedgeHog 4, and RackHog 4) with a Lightware FR33 Matrix Switcher and developing protocol with Lightware EDID Manager, a single operator is now able to directly control lighting and video equipment. This means increased productivity and optimization, and reduced time and costs spent on lighting and video control. “The Lightware router and Hog software solution allows production staff to use more gear with the same amount of personnel, making this a desirable control system for reducing costs and making the process smoother and much faster. 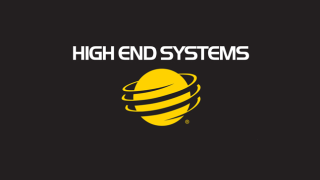 This also allows them to add more equipment to their shows without adding complexity, which means they can offer more to their clients for the same price,” added Jonathan Kemble at High End Systems. Typically, show programming and execution is done in separate lighting and video control systems with separate operators. Linking the lighting system to the video equipment via complex and expensive integration products has proved to be very difficult. Budget constraints and limited timelines also hamper integrated configurations. The new solution from High End and Lightware USA stores and executes programming in a single location so one operator can control lighting and video equipment for complex productions. Adding a Lightware router to the mix provides EDID management for the media servers as well as switching from primary to backup. The Hog console control enables the Lightware router to be the primary to backup solution. Putting switching in the hands of the lighting control department allows the lighting designer to switch to his own backup servers without relying on the video department to do this. By automating this process, the switch to backup is much faster and smoother. And while more equipment can be added to shows without adding complexity, operators will be able to offer more options to their clients without increasing the price.